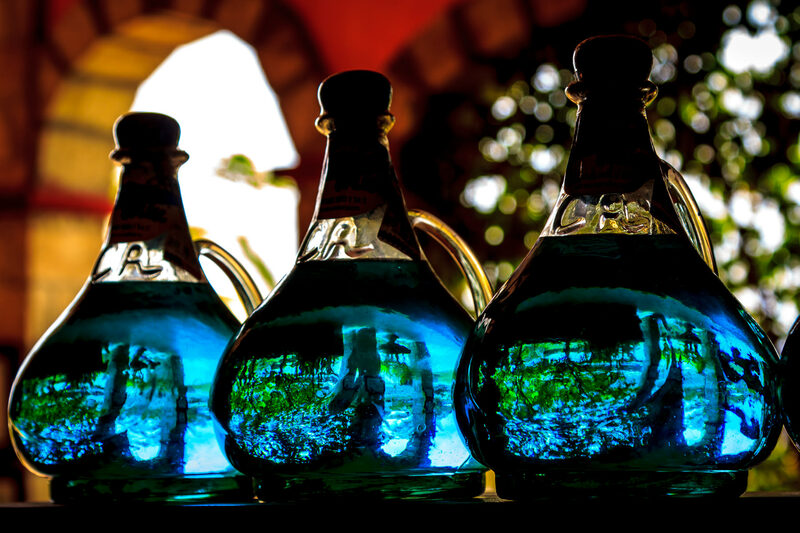 Sunlight refracts through jugs of blue tequila at the Cava Antigua tequila store in Cozumel, Mexico. 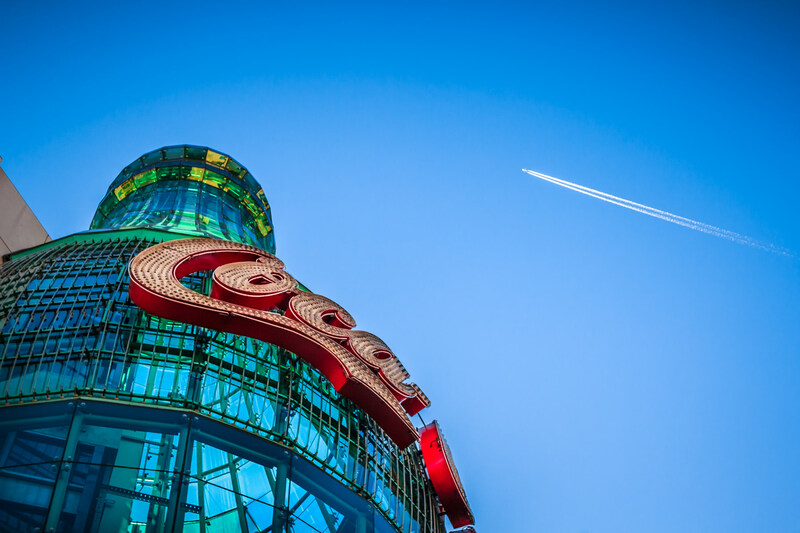 A jet flies high over the Las Vegas Valley and the Everything Coca-Cola Store on The Strip. 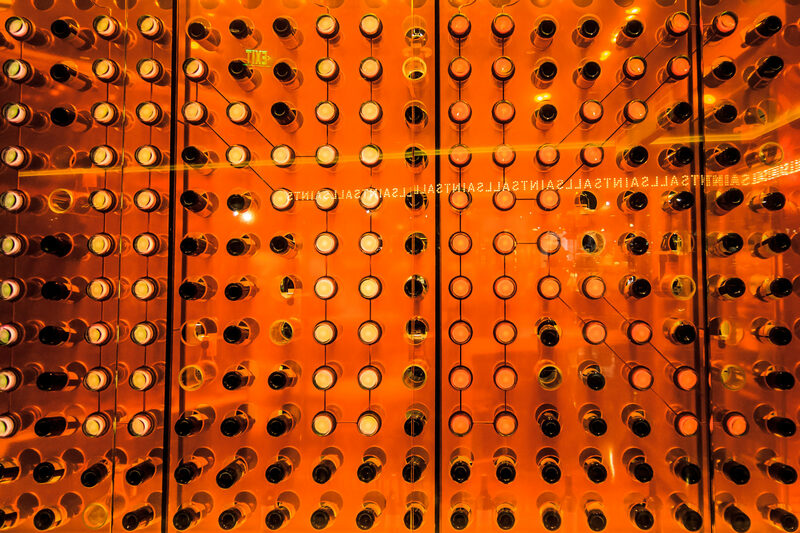 The bases of wine bottles behind glass reflecting the signage for Allsaints Spitalfields at the Cosmopolitan, Las Vegas.